Titanfall isn’t the only big thing coming to the Xbox One on March 11. That also happens to be the same day that streaming app Twitch will debut on the console, allowing gamers to broadcast their gameplay for the first time on Microsoft’s new system. Matthew DiPietro, VP of marketing at Twitch, noted that a huge number of console owners are about to be introduced to game broadcasting and the Twitch community. 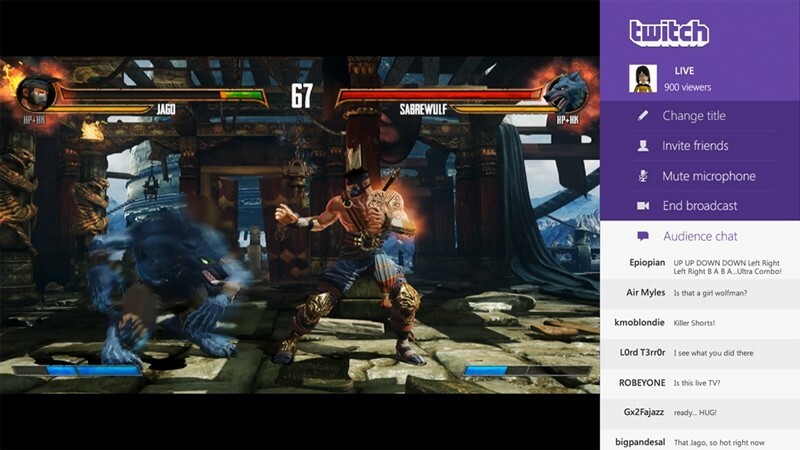 He added that the Twitch experience on the Xbox One is easily the most feature-complete of their console integrations and will hopefully turn legions of gamers to the Twitch phenomenon. If you aren’t familiar, Twitch is a live streaming video platform launched in 2011 by Justin.tv co-founders Justin Kan and Emmett Shear. At present, some 45 million viewers consume around 13 billion minutes each month from over a million unique broadcasters. The site ranks as the #4 peak US Internet traffic destination according to Microsoft. On the Xbox One, the app will not only deliver the ability to stream content live but will allow for chat, following and notifications – all staples of the main platform. To get started, simply say “Xbox, Broadcast” during any point of a game (assuming of course you’ve already set up your Twitch account and have your Kinect plugged in). Notifications will let you know when one of your favorite gamers begins a broadcast and customizable options for the streamer will allow them to keep track of the ongoing chat or assign a moderator to do so.